Dates and addresses of all events taking place in Sicily. 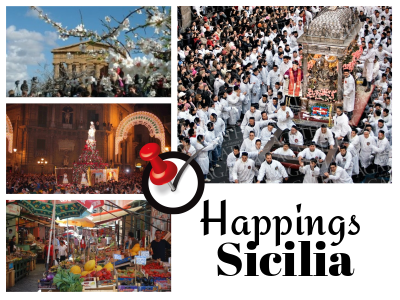 See all events that take place in Sicily by clicking on the menu to the right. Each link corresponds to an event category in Sicily. In each category the events are sorted by date. If you wish to discover all the events going on around you right now, just check the map on the home page.